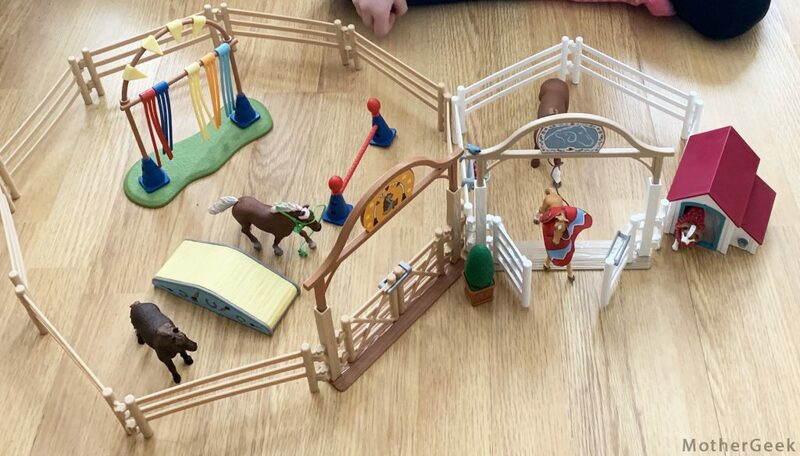 If you read my blog often, you may have seen my previous review of the Schleich Pony Agility Training set. 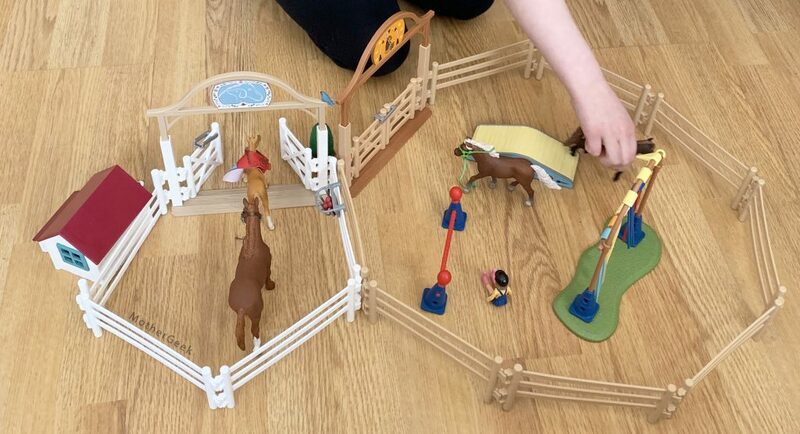 It was such a hit with both the kids, that I said Yes immediately when we were asked to review the Schleich Horse Club Hannah’s guest horses set. It’s available to buy from Smyths and has an RRP of £29.99. The set is suitable for children age 5-12. The set is much bigger than the small box would have you believe. I love that there’s no excessive packaging to dispose of with the set! 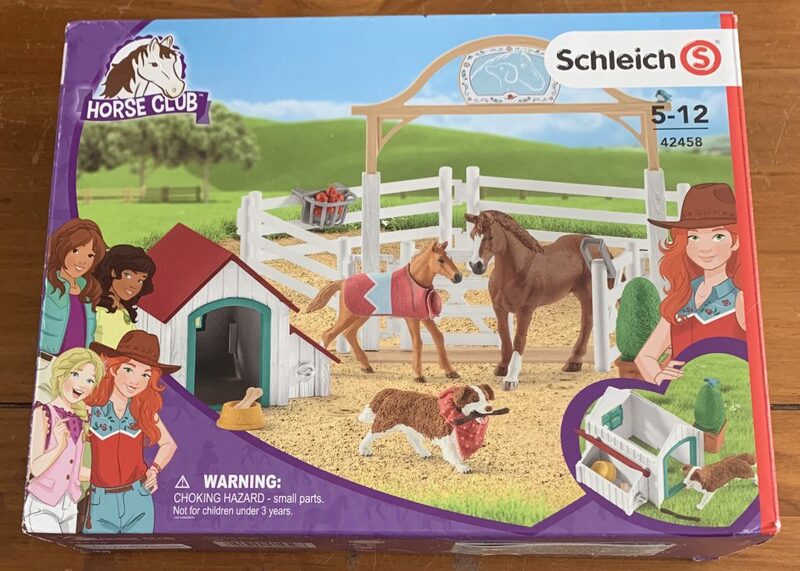 The Schleich Horse Club Hannah’s guest horses set includes… 1x Appaloosa mare, 1x Appaloosa foal, 1x Ruby the dog, 1x dog kennel and 4x fence paddocks. 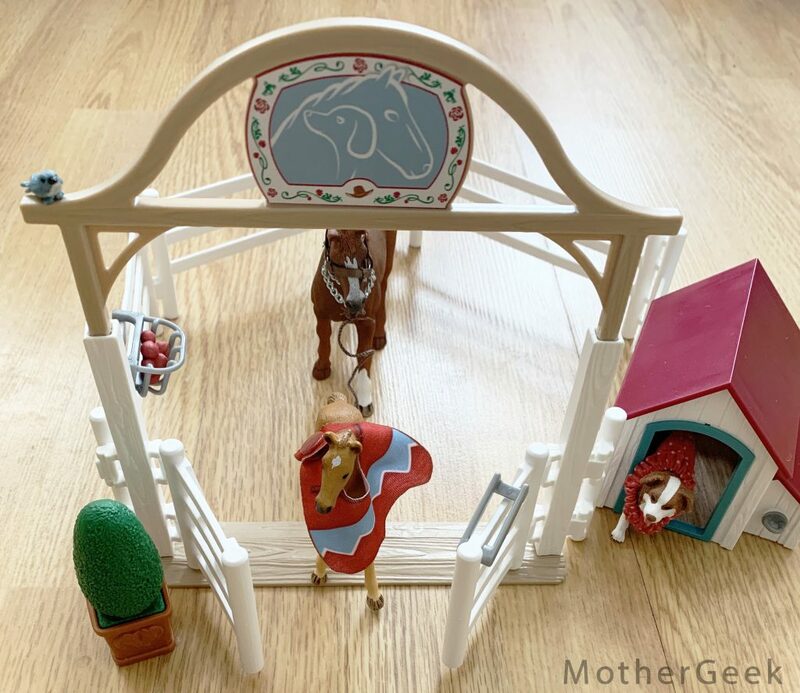 You also get 1x entrance gate, 1x foal blanket, 1x stable halter, 1x fruit box, 1x red apple and 1x feeding rack. Additionally, there’s 1x bucket, 1x boxtree, 1x bone, 1x stick, 1x dog bowl, 1x dog collar and a bird included too. 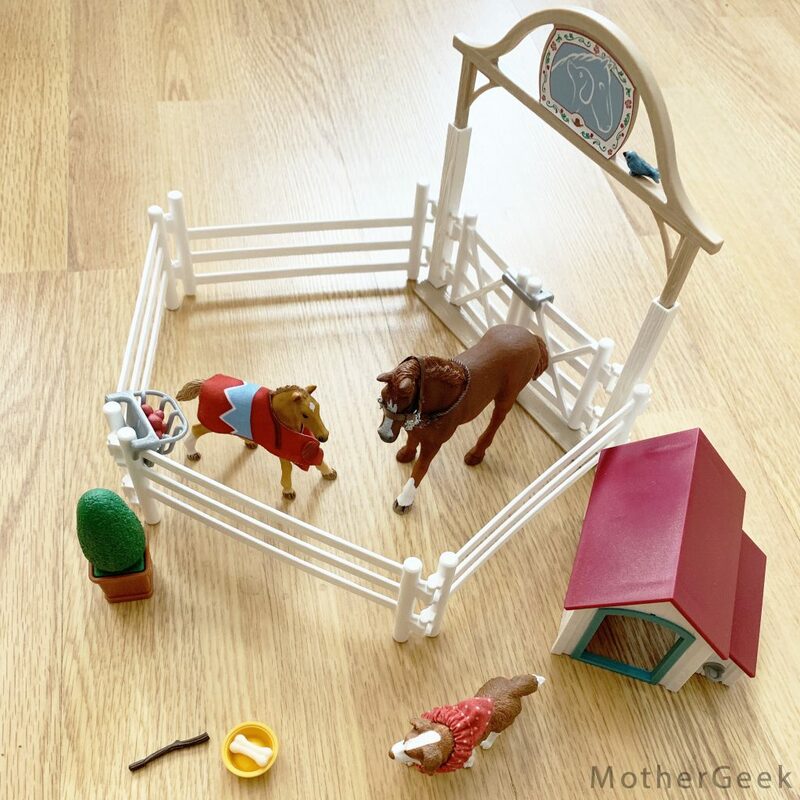 The set is brilliant for any horse fans. I love that Ruby the dog can watch over the new mum and her foal. The gate to the paddock opens easily, and it has a lock as well. (pictured open, above). The feeding rack attaches to the paddock, and you can pop apples into it for the horses to eat. Ruby the dog isn’t forgotten either – she has a dog bowl, bone and a stick to keep her busy! It’s so cute that she can hold these in her mouth, too! Ruby’s kennel has a removable roof as well as a clever storage box on the side. 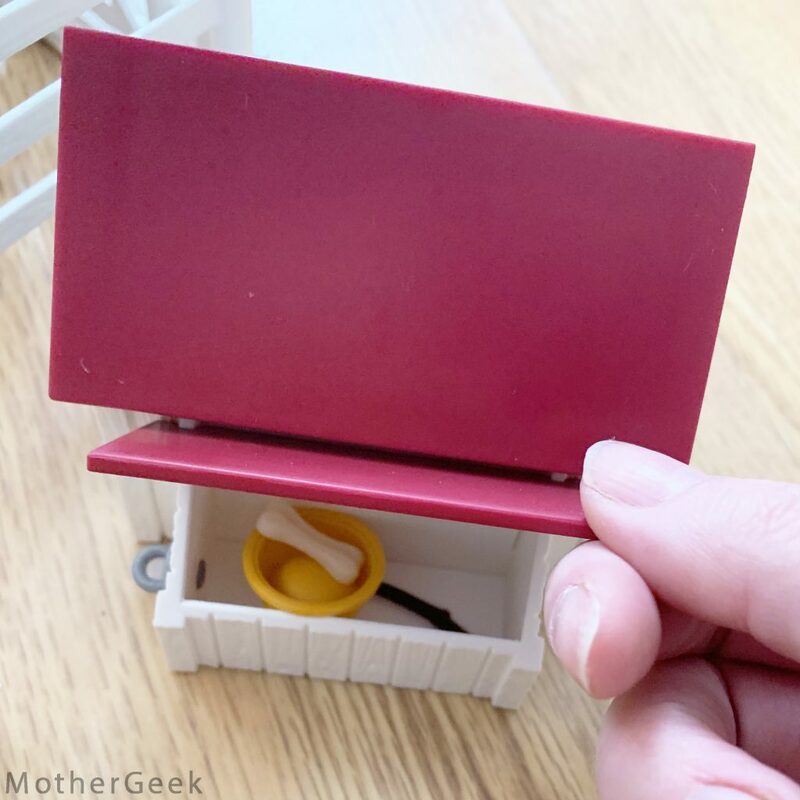 This is perfect for keeping all of the included accessories safe. (You can see how small they are next to my hand in the photo below). 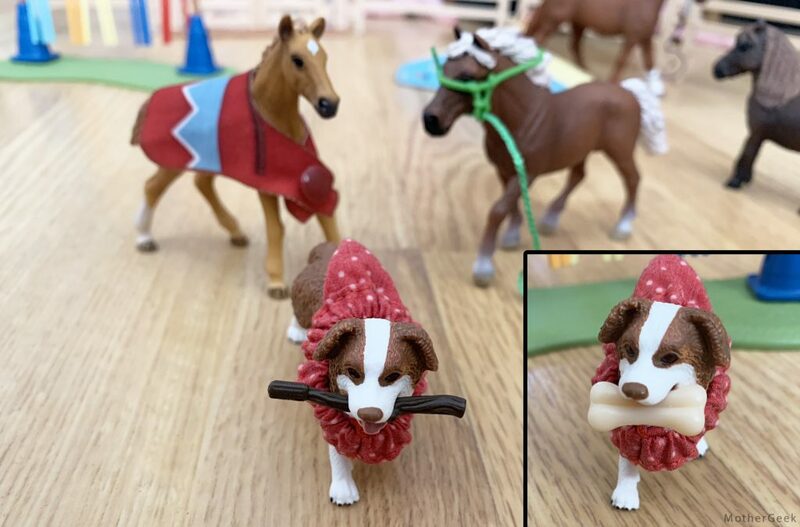 The paddock in the Pony Agility Training Set is twice the size of the Guest Horses one. All of the fences join together though, so you can make one giant paddock too if you prefer. As you can see, the horse from this set is a good bit bigger than the girl in the Pony set, but they still work well together. The detail on the horses is stunning. 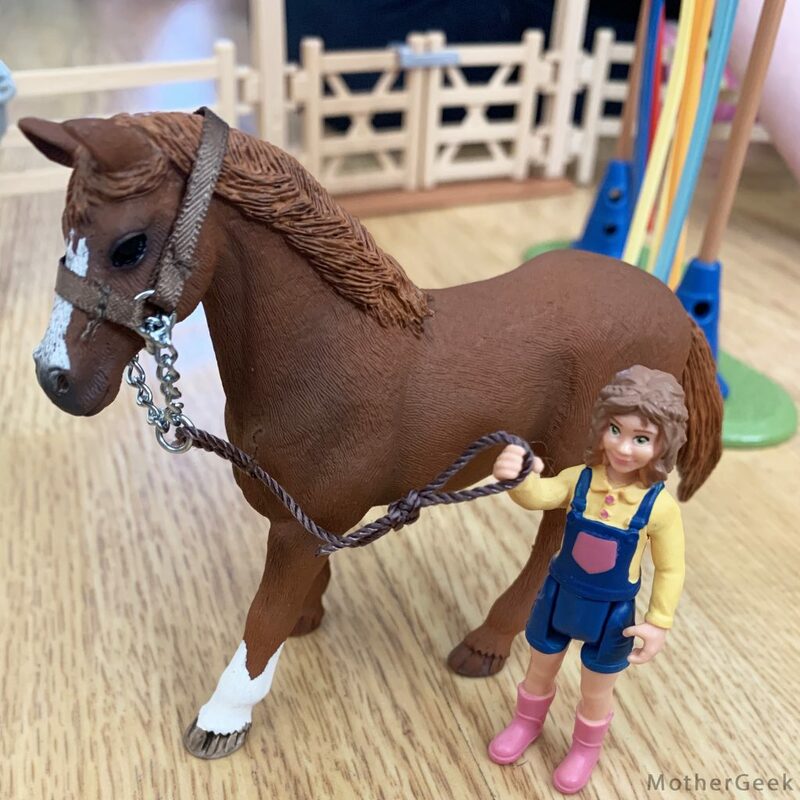 The horse pictured above is the Mare included with the Horse Club Hannah’s guest horses set. 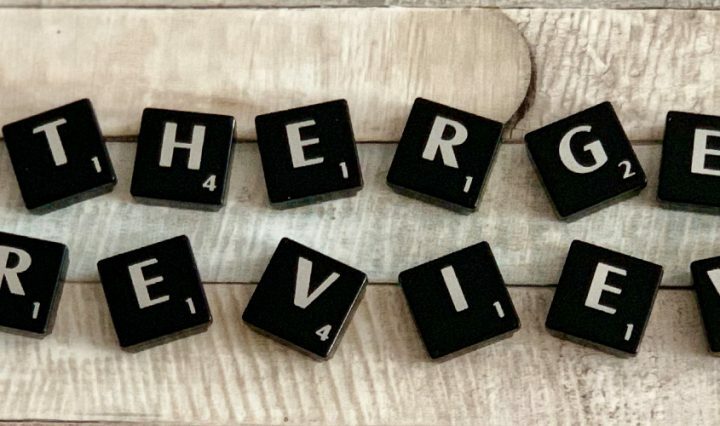 The pieces are all well made and great quality, so I’d definitely recommend it to any horse fan.